I don't like spending my evenings alone. I like being in the company of people I love. That's why this week is going to be a little different since I'm not going to see Bill. He's on night shift, and I won't be able to really spend time with him till Friday. I'm going to miss my boo. We usually hang out all the time, and it's been that way since we started dating over a year ago. It's makes me wonder what I'm going to do to fill my free time. I'm not going to lie, I have thought of things that I am looking forward to this week. I am a planner, and I adore planning ahead of schedule. There are a few things that I personally am so thankful for this week. One of those things just happens to be the new episode of Glee tomorrow! Glee is seriously one of my favorite shows ever! I could watch and re watch an episode a couple times in a row over a few days and still love it. They're classic. AND, I am also going to spend some time with Bill's family this week too. Should make for a good week. :) Plus, I can't wait to have some girl time with my friends. I love how we always end up talking about what is going on in our lives at the moment. The things that make us happy and the things that don't. It's exactly what I need after the work week. What are you looking forward to this week? I would love to know. the frenchman and i have such limited time together. it's tough but it does make you value your time :) i can't wait for glee either! love the pictures!! I LOVE planning ahead! I bet we have similar looking planners... planned all the way into the next two weeks! haha and being able to realize that you still need friend time is a really good quality to have! I wasn't a Glee fan all during the first season, but then got hooked when Season 2 started.. weird. Dianna is gorgeeeeous. I'm pumped for Glee tonight. I'm all about looking forward to things too, which makes planning so fun. The weeks I don't have something to look forward to seem incredibly slow. I'm pretty bad at being spontaneous. I'm of those girls right with you! :)haha. And my boyfriend and I are 3 weeks away from being long distance for the summer and so I'm soaking up all the time together I can right now! I am also so excited for Glee's new episode- it's my favorite show ever and I've missed it the past couple weeks! hehe. Love the Diana collage- she is so pretty! I just love Glee, too! All of these pictures are great, I don't think I've seen any of them before. 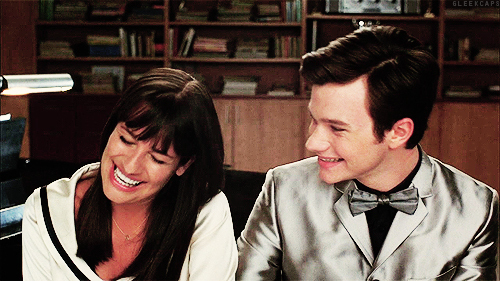 I have seen Glee like a couple times and it was good, I don't know why I don't watch it more! I love that updo in the second picture! 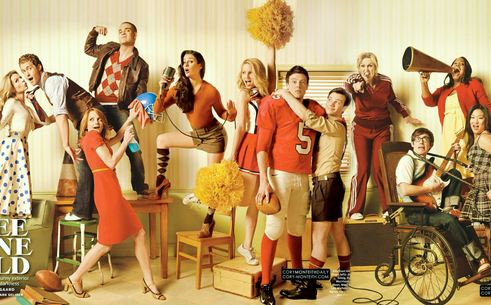 Glee is so much fun to watch! Love it.